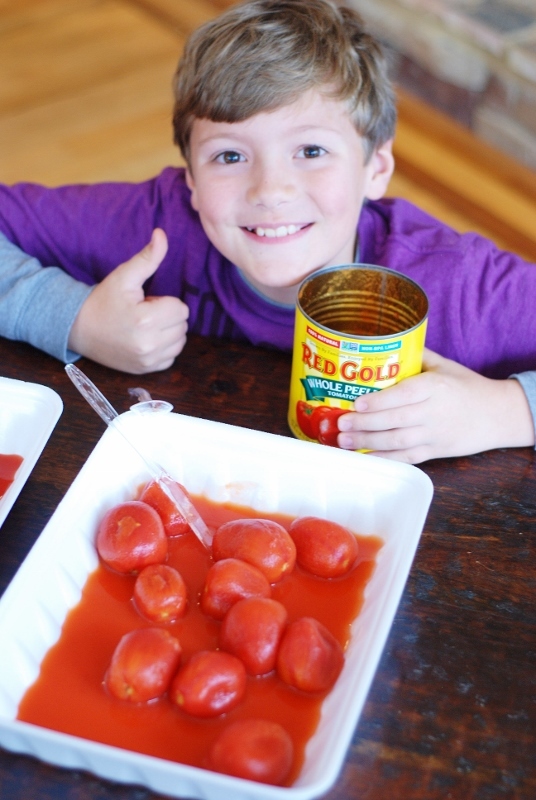 My boys had so much fun taking the Red Gold Tomato Challenge! I had the privilege of touring Red Gold Tomatoes last year. I got to see where the tomatoes were grown, meet the farmers, workers, tour the plants, and meet the owners. 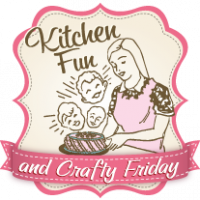 I loved everything about this company and was so impressed with them. You can view the details of my trip HERE. I also love the fact that Red Gold is Non GMO certified and uses a Non-BPA Liner for their cans. 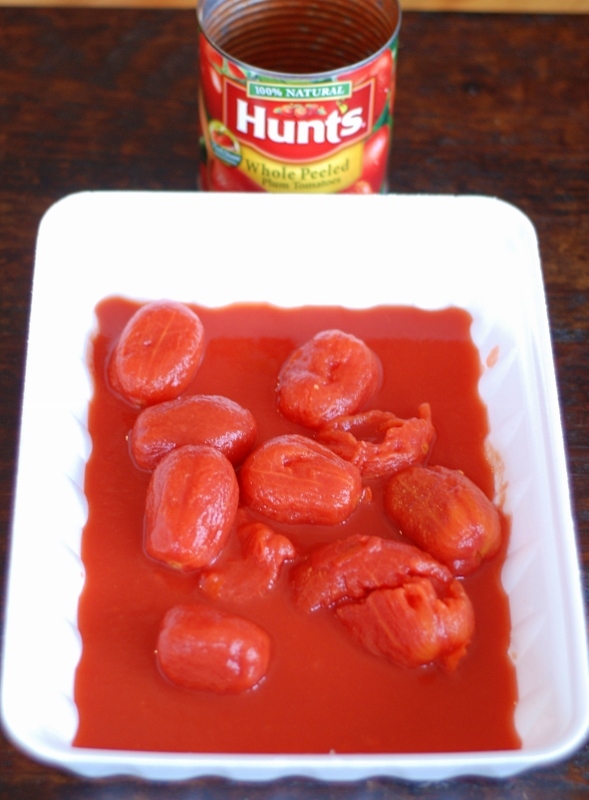 They really are a great company & make the best canned tomatoes! 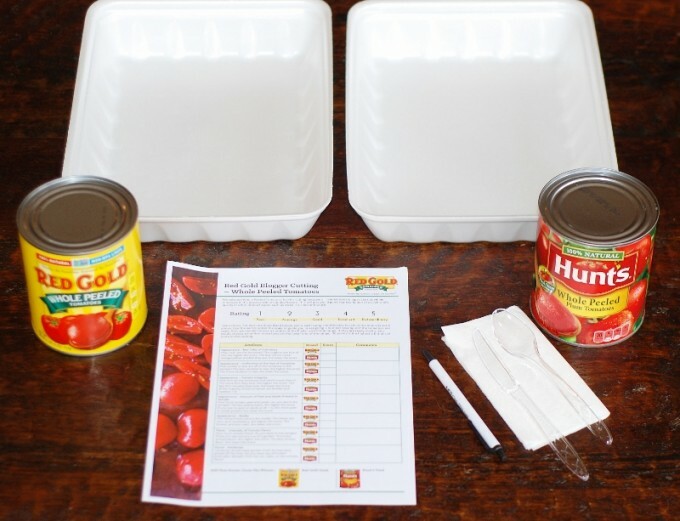 I wanted to give my boys the Red Gold Tomato Challenge to get their honest opinion. 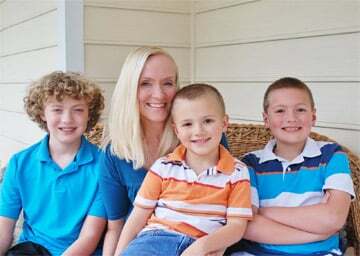 I love to get a kids opinion because they are so open & unfiltered. 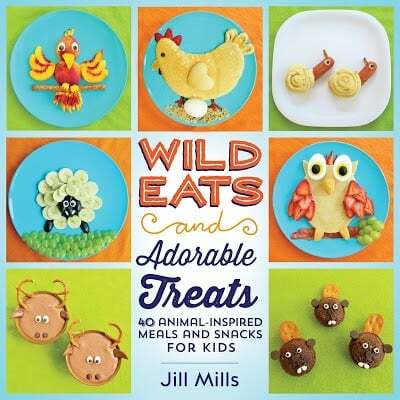 Also, my boys are very picky! 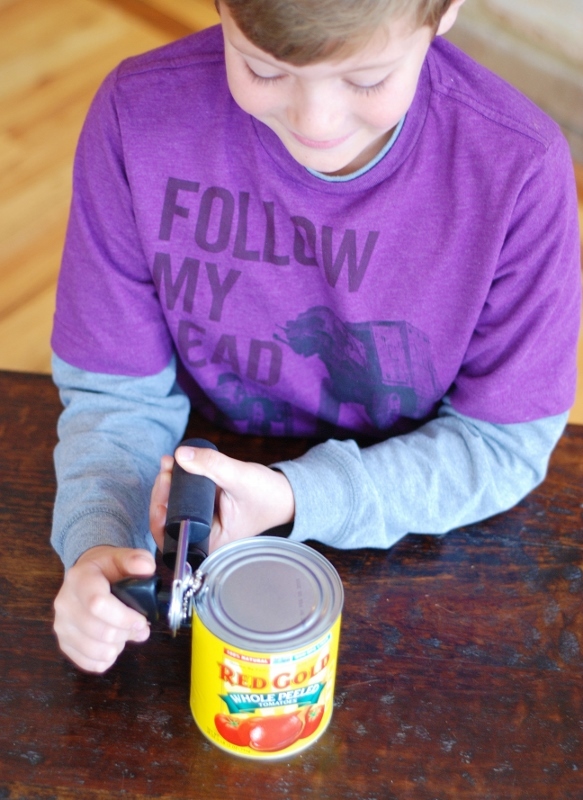 I think this was the first time I have let my boys open up a can with a can opener so this was a pretty exciting moment…. 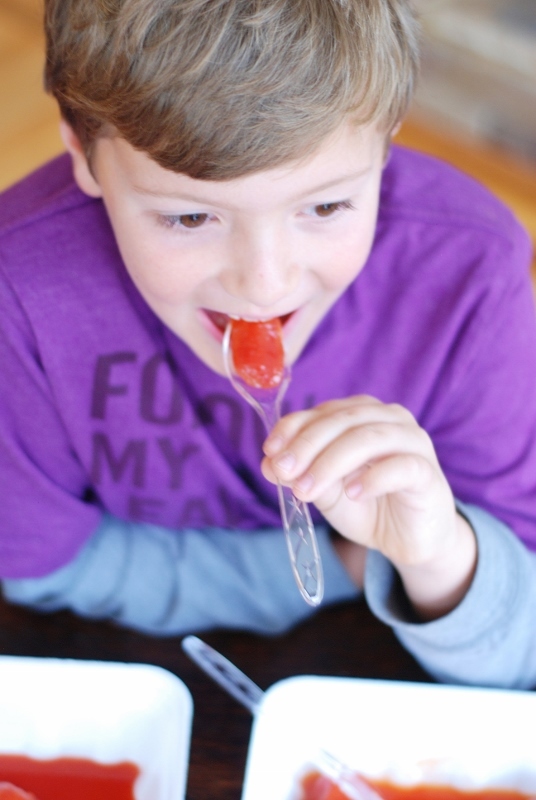 Then he tested out the Hunts tomato…. 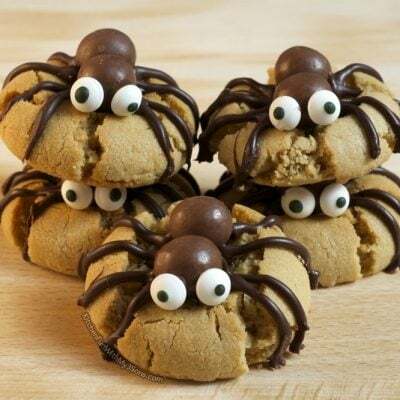 You can just see how fresh they look…. There are 5 different ratings for Appearance on the Red Gold score sheet. 5 is the highest & 1 is the lowest. The brighter the hue of red, the higher the score. They gave Red Gold a 5 and Hunts a 3. 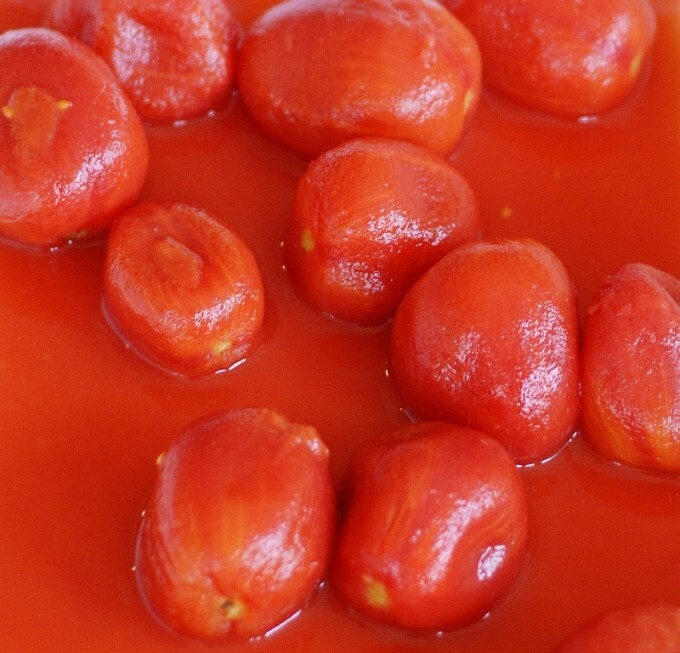 Comments: Red Gold tomatoes has a very bright and fresh color. Hunts is pretty close, but not as good. The less variation in size, the higher the score. Red Gold gets at 5 and Hunts gets a 2. 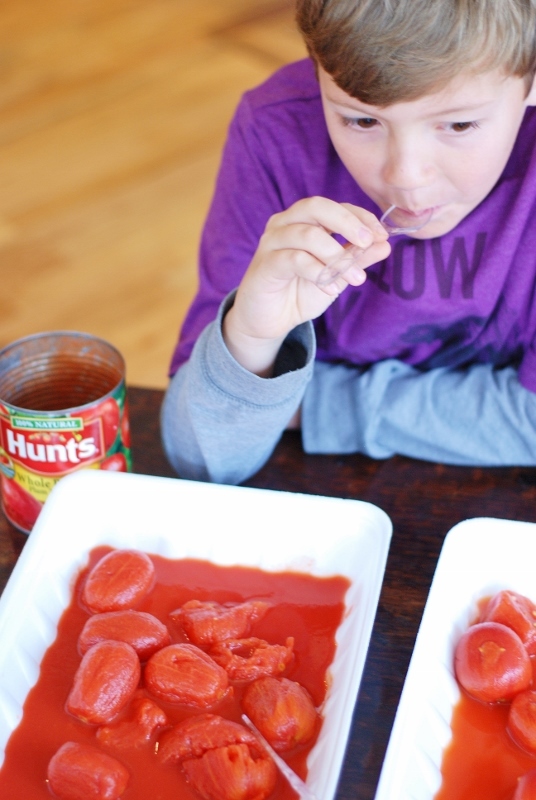 Comments: Red Gold has larger tomatoes and Hunts tomatoes are squishy & mushed up. The size gives it BIG flavor. Comments: Red Gold looks fresh and firm. 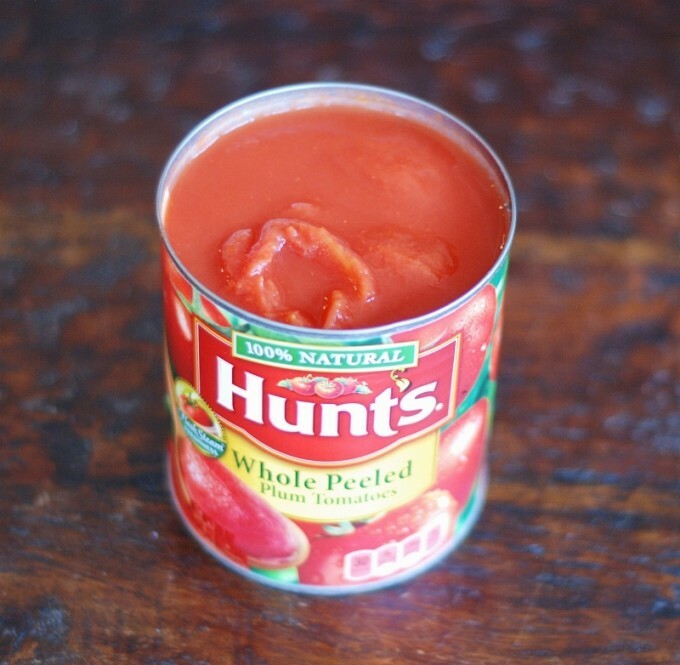 Hunts looks mushy and gross. The less peel and seeds, the higher the score. Red Gold gets a 4 and Hunts gets 2. Comments: Red Gold looked a lot fresher. The red and thick juice is the media. 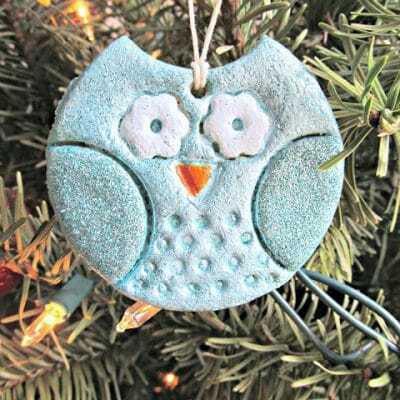 The better the color and consistency, the higher the score. Red Gold gets a 4 and Hunts get a 4. 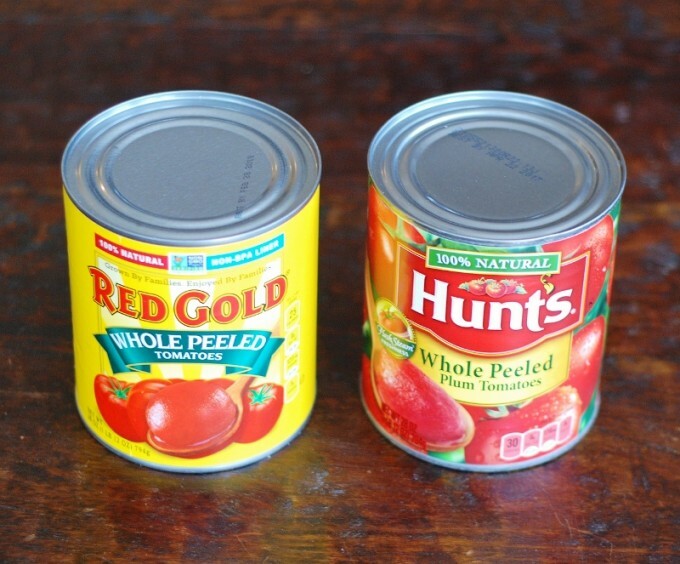 Comments: Red Gold had a better color, but Hunts had a thicker sauce. 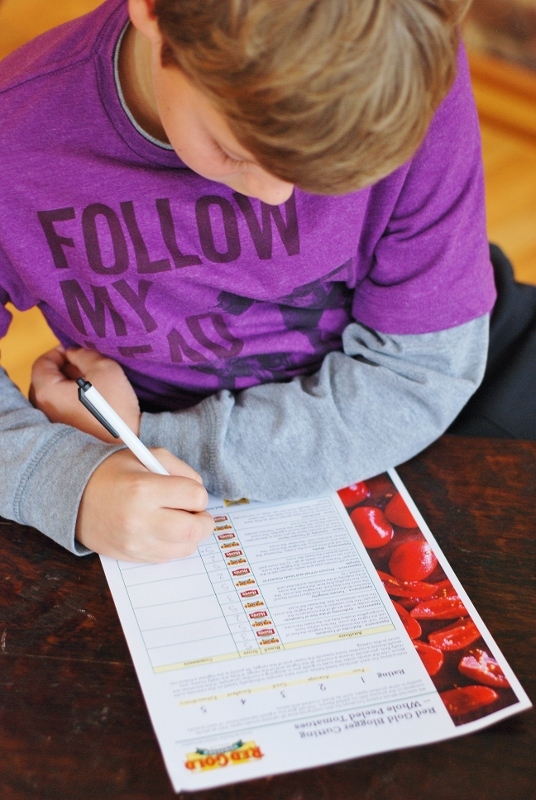 The more tomato flavor, the higher the score. Red Gold gets a 5+. Hunt’s gets a 2. Comments: Red Gold has a very fresh taste and I love it. Hunts tasted artificial & kind of sour. 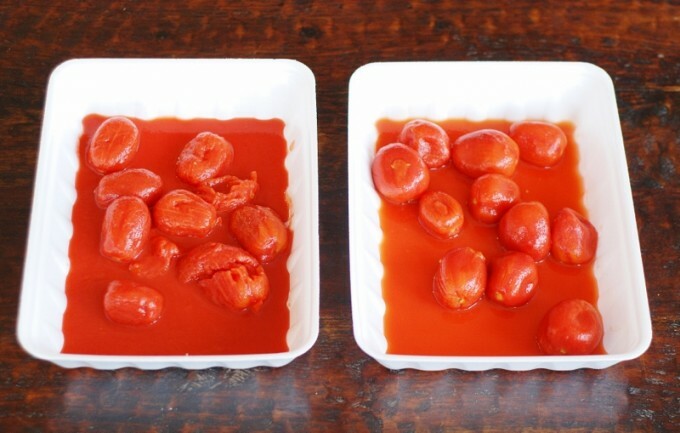 Tomatoes should taste garden fresh without any off notes. Red Gold gets a 5+. Hunts gets a 2. 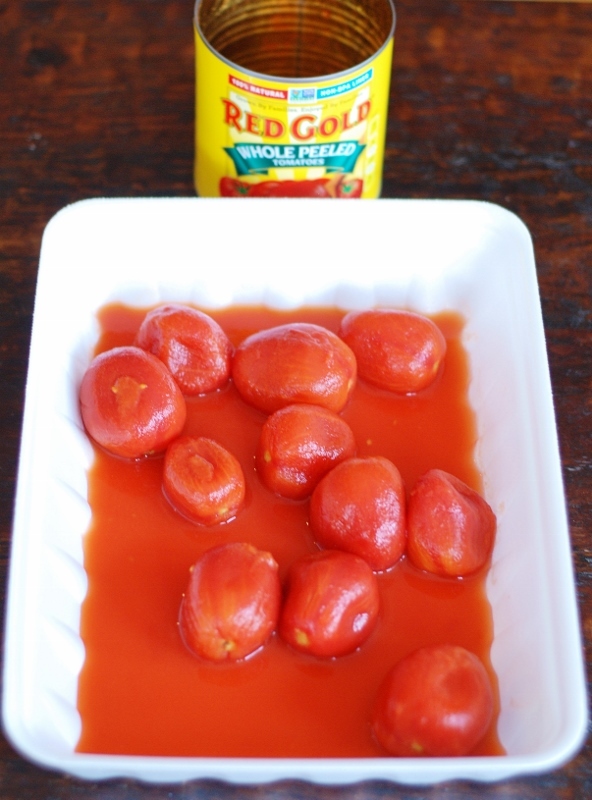 Red Gold had a very fresh taste and I wanted to eat more. Hunts tasted artificial & kind of sour. 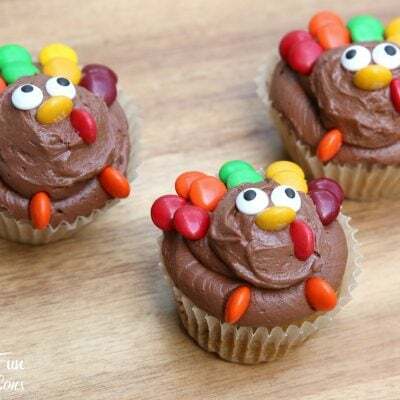 I could hardly eat one bite. My boys were shocked in the huge difference with these brands. I also gave Red Gold the best score when I took the challenge. 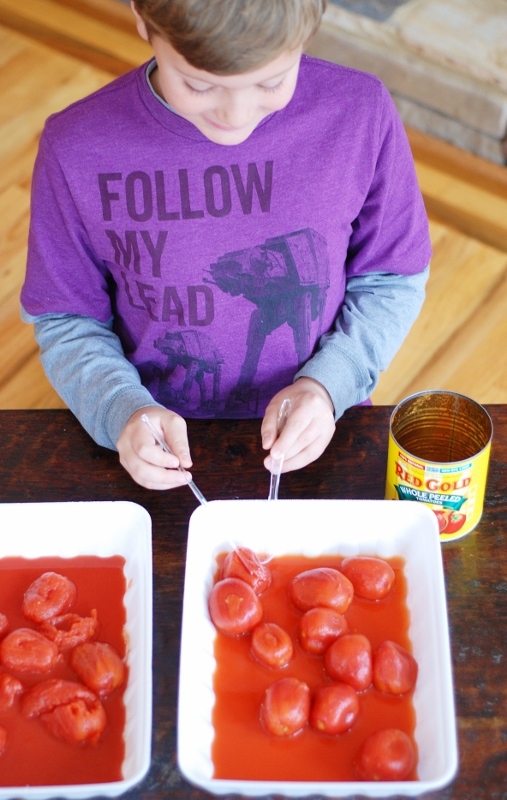 I want to also point out that I noticed my 9 year old going back to eat more of the Red Gold tomatoes and wanted to eat them for his afternoon snack! 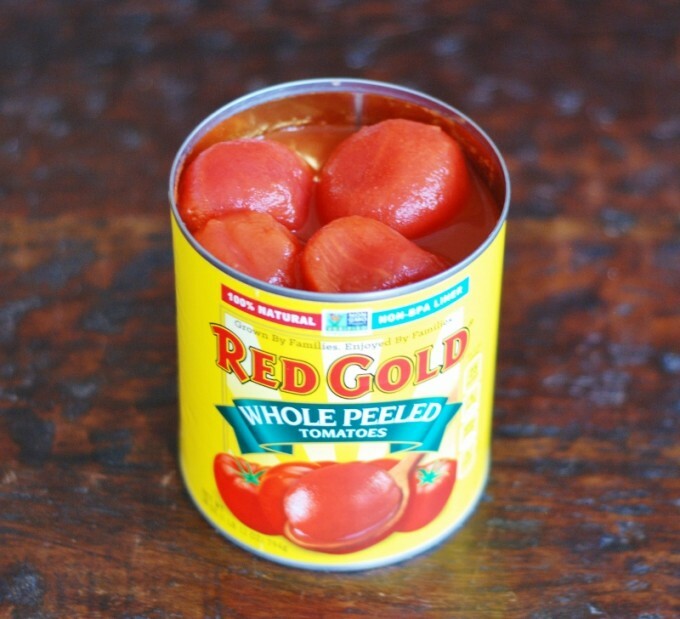 Make sure to test out the taste of your Red Gold tomatoes the next time you open up a can for a recipe. 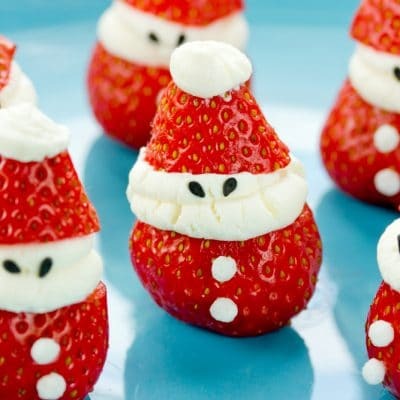 You will be so surprised out how fresh & good they are. You might just eat the whole can yourself! Disclosure: Red Gold has provided us with this product cutting kit. I have been compensated by Red Gold for this post, however these are honest opinions of our own. 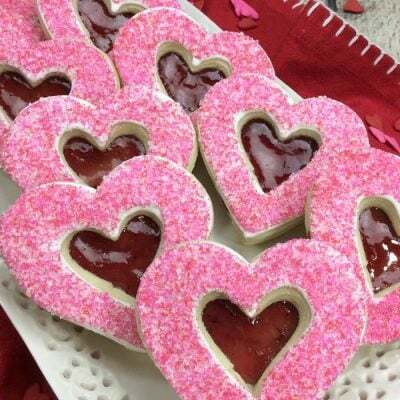 Next Post » The BEST Valentine’s Day Healthy Food Ideas! 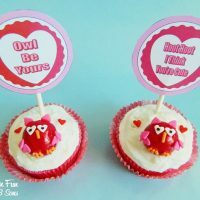 Easy Valentine Owl Cupcakes with FREE Printables!